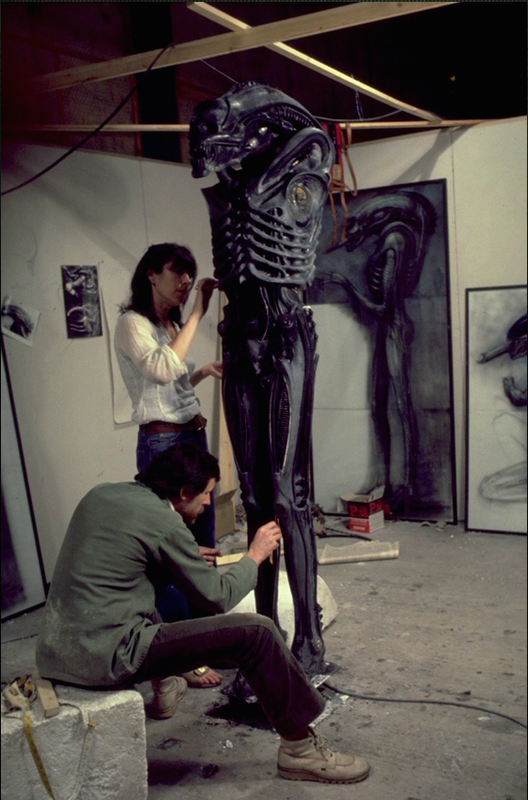 In the studio, people with a right to be there could go in to the cubicle and talk to Giger but he was very intense about getting his work done. Mia Bonzanigo would be working away on the alien with the help with the likes of Eddie Butler. Dan O'Bannon would come in and make recommendations such as adding the opposing digit. 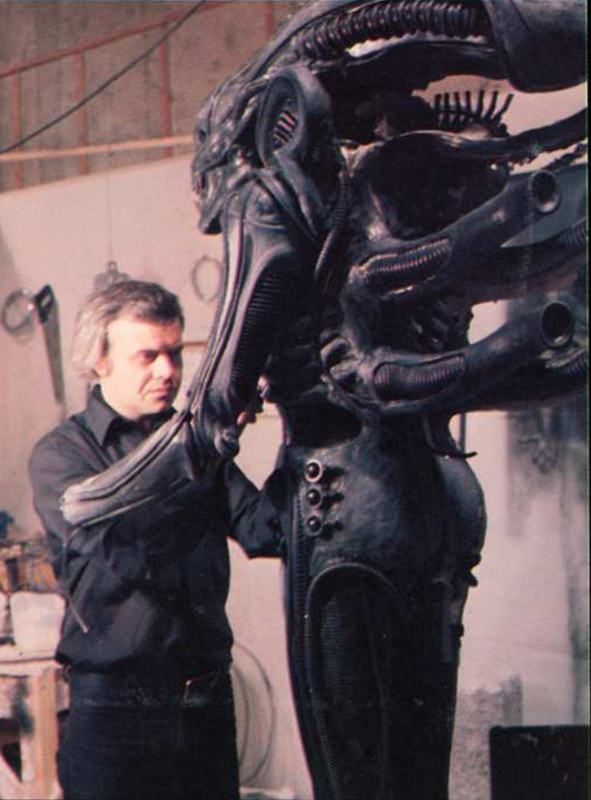 To wonder about the nature of that experience, one might draw all kinds of associations because of the nature of Giger's work for the film, and perhaps the fear being generated by the film's story as a horror movie. 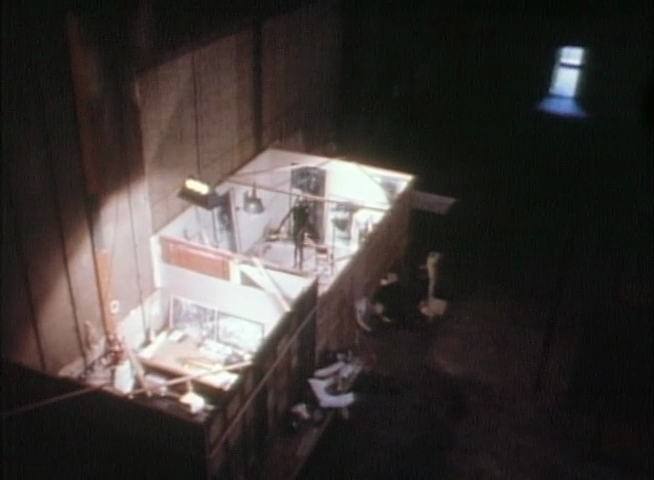 Perhaps the studio simply haunted by the presences of actors and film crew from over the decades or perhaps the human skulls used in the alien sculpture had brought their own ghosts and it would be some years later that their secret would dawn on Dan O'Bannon. 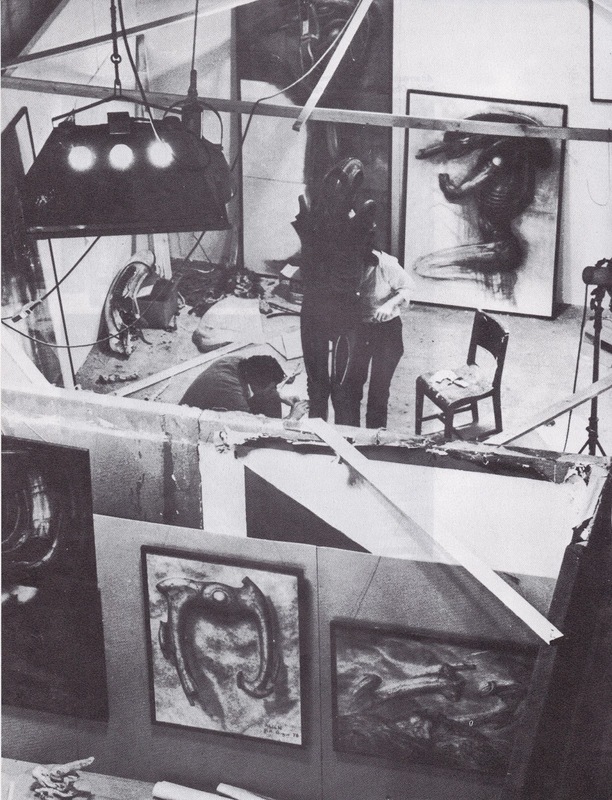 c) In the photo above , in the room at the front of the photo, we see paintings; part of the egg silo and derelict pilot chamber below to the far left, and the derelict as seen from above in the middle and the derelict as seen from a distance at the right. 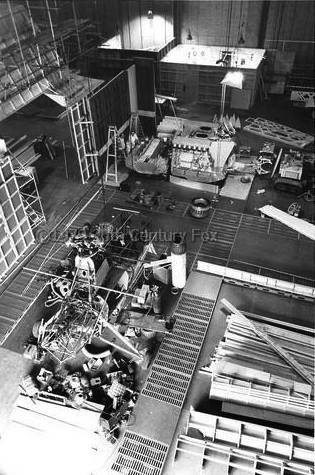 At the bottom of the left is a maquette of the space jockey by Peter Voysey. 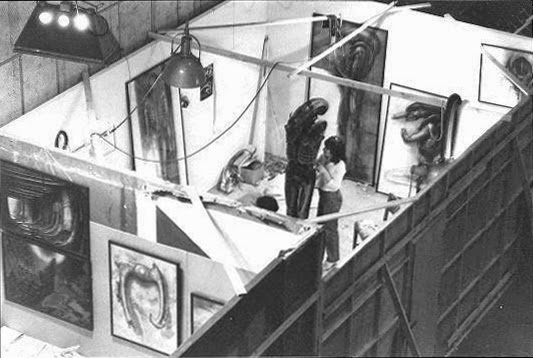 d) In the room in the background, this is the main workroom where work is done on the Alien sculpture and in the background , the second and third versions of side view concept paintings for the alien.